The following is the spiel from the Tiny Stadiums website. All the basic festival info is below, and will be updated at the PACT website as the festival goes along. 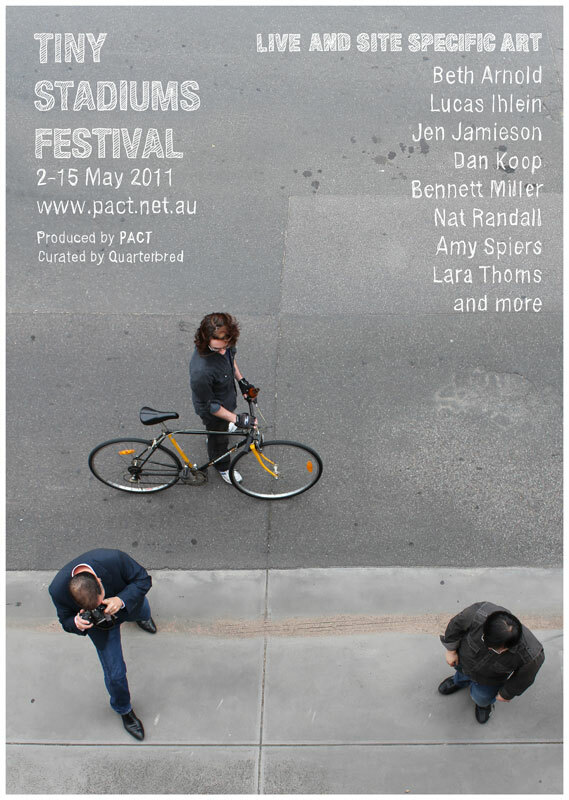 This coming May we invite you to experience stirring contemporary art by Australia’s finest emerging artists. These provocative and exciting projects consider art and its social relationship to public space. Works span a range of mediums including video, performance, music, live art, participation, installation and duration and aim to lure the curious, and delight those who unintentionally stumble upon them throughout the village – in streets, shops, pubs and parks. Theme: Day Dream by Jim Whimpey. Get a free blog at WordPress.com.